General manager David Poile gave last year's Presidents' Trophy team another shot, and it regressed. To get back into the Cup contenders' circle, he'll have to get aggressive this summer – even if it means breaking up the Big Four on defense. Jumped on the bandwagon but still a little hazy about what's going on during Blue Jackets games? We've got you covered. Welcome to the new NHL, where your past doesn’t matter, and the Stanley Cup is up for grabs. The Columbus Blue Jackets made history in round one. How did this team come together? We take a stroll down memory lane and recap how this roster was made. Playoff series wins by the Colorado Avalanche, Columbus Blue Jackets and New York Islanders suggest a changing of the guard in the NHL. So, you're hopping onto the Blue Jackets bandwagon. Welcome aboard! Let's learn the roster. 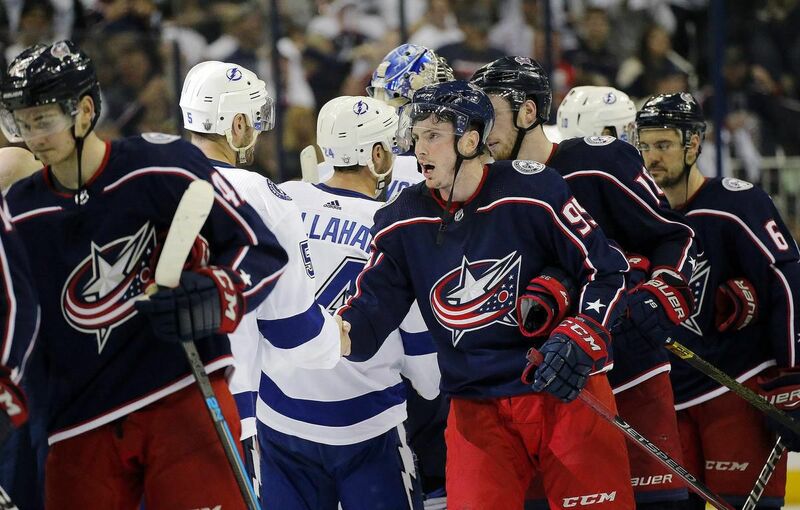 A few key plays arguably changed the outlook of the entire Tampa Bay series for the Blue Jackets - and had they not happened, it's not unreasonable to think the Lightning could've won four games themselves. Let's break them down.